SINGAPORE, 25 May 2014 – Changi Airport Group (CAG), Singapore Tourism Board (STB), and Princess Cruises announced today an initiative aimed at growing Asia’s fly-cruise segment and promoting demand for cruise holidays from Singapore. This multi-million dollar tripartite collaboration commenced last month with a series of marketing campaigns promoting Princess Cruises’ sailings not just in Asia, but also further afield in Australia, United Kingdom and the United States. The Asian countries earmarked are China, Hong Kong, Indonesia, Japan, Malaysia, South Korea and Taiwan. Princess Cruises is part of Carnival Corporation, the world largest cruise company. Further strengthening this collaboration is Changi Airport’s strong connectivity to 270 cities worldwide, combined with some 6,600 weekly flights, giving Singapore a strategic advantage to effectively tap fly-cruise traffic from across the globe and serve as a cruise hub for Asia. Since 2012, CAG and STB have been partnering cruise liners on initiatives to anchor more ships within Singapore’s waters. In September 2012, CAG and STB jointly supported Costa Cruises – one of the cruise brands under the Carnival Corporation – on a multi-million dollar collaboration to deploy more ships and to market the cruise liner within Asia Pacific. In the first year of collaboration, Costa Cruises received support to intensify marketing efforts to Asian consumers, yielding positive results, recording 5,000 Asian cruise passengers flying through Changi Airport and spending time in Singapore before and after their cruises. In tandem, CAG has also been actively collaborating with airlines and travel agents on marketing campaigns to promote fly-cruise packages in markets such as China and India. As a champion for the Singapore cruise industry, STB is also committed to helping cruise stakeholders succeed. For example, market research indicated that many Asian consumers have low awareness but high receptivity towards cruising. Given that the majority of cruise bookings are made through travel agents, a training programme for travel agents across Southeast Asia was launched in 2013, led by the Asia Cruise Association and facilitated by STB. The on-going training is steadily building a pool of cruise specialists, thus expanding the trade network and making Southeast Asia even more attractive to cruise companies. In particular, fly-cruise is a key topic of discussion during the training. Travel agents learn of the benefits of fly-cruise holidays, where consumers enjoy greater convenience, competitive prices, and a wider range of itineraries. This ties in with CAG and STB’s united objective. “Through this complementary partnership, STB and CAG will work together to promote the concept of flying into Singapore to cruise. We are excited that Princess Cruises has come on board, and look forward to more cruise lines joining us in tapping on the immense potential of cruising in Southeast Asia,” said Ms Neeta Lachmandas, Assistant Chief Executive, Business Development Group, Singapore Tourism Board. 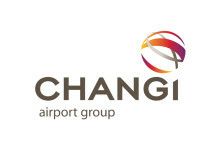 “Changi Airport is world-renowned and travellers would be able to relate to the convenience and seamlessness associated with both Changi Airport and fly-cruise holidays. Together, our goal is to make Singapore the preferred regional cruise hub. We look forward to more of such fruitful collaborations in the future,” she added. 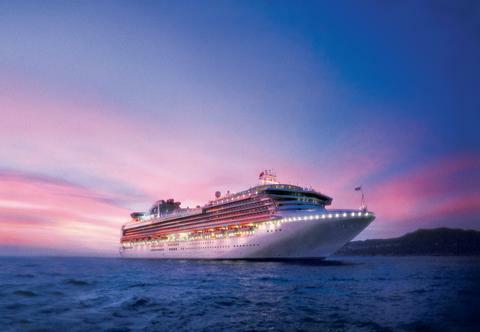 For 2014, the worldwide cruise passenger volume is expected to reach an estimated 21.7 million. The global cruise industry has seen yearly passenger numbers increase at a compounded annual growth rate of 7.5% from 2007 to 2013. With the Asian cruise tourism market poised to grow to 3.8 million by 2020. In 2013, Singapore received 1.03 million cruise passengers and 391 ship calls, a year-on-year increase of 13% and 17% respectively. Cruise liners have reflected their confidence in Asia by making multiple deployments. - Costa Cruises’ deployment of its Costa Victoria and Costa Atlantica ships since 2012, boasts a combined passenger capacity of 4,040. - Princess Cruises’ upcoming deployment of its Sapphire Princess from November 2014 to March 2015 represents the largest ever deployment made by a premium cruise line to the region. Carnival Corporation is the world largest cruise company, with close to 50% of the total global cruise passenger capacity. There are currently 10 cruises brands under Carnival Corporation, including Princess Cruises, Costa Cruises and Holland America Line. In particular, Princess Cruises has a fleet of 18 ships, offering sailings to more than 300 ports and destinations around the world including Alaska, Asia, the Caribbean, Europe and South West Pacific. The cruise liner handles around 1.7 million cruise passengers annually. Princess Cruises’ sailings from Singapore will offer unique itineraries that have been designed for the broad and diverse Asian vacation market. The cruises will also offer more destinations from Singapore on Princess Cruises than on any other cruise line, calling at nine countries and 26 ports. The wide range of cruise lengths from three to 17 days will provide passengers with a wide array of vacation experiences. More information on Sapphire Princess’ sailings is in the Annex. 17-day Grand Asia: Departs March 24 with calls at Bangkok (Laem Chabang), Ho Chi Minh City (Phu My), Hong Kong, Shanghai, Nagasaki, Busan and Beijing (Tianjin). 11-day Southeast Asia: Departs November 27 and December 18, 2014 with calls at Bandar Seri Begawan (Muara), Nha Trang, Ho Chi Minh City (Phu My), Sihanoukville, Bangkok (Laem Chabang) and Ko Samui. 10-day Indonesia: Departs January 13, 2015 calling at Jakarta, Bali (Benoa, with an overnight), Komodo Island and Lombok. 10-day Malaysian Peninsula & Indonesia: Departs December 8 and 29, 2014, and February 28, 2015, visiting Bali (Benoa), Kuala Lumpur (Port Klang), Penang and Phuket. 7-day Vietnam & Thailand: Departs January 30 and February 16, 2015 visiting Ko Samui, Bangkok (Laem Chabang) and Ho Chi Minh City (Phu My). 5-day Thailand: Departs January 8, 2015 with visits to Bangkok (Laem Chabang) and Ko Samui. 5-day Thailand & Malaysia: Departs February 23, 2015 with calls at Kuala Lumpur (Port Klang), Penang and Phuket. 4-day Malaysia: Departs January 26 and February 9, 2015 calling at Penang, Langkawi and Kuala Lumpur (Port Klang). 3-day Strait of Malacca: Departs January 23, February 6 and 13, 2015 with calls to Penang and Kuala Lumpur (Port Klang). Prices for these three to 17-day cruises start from S$549 per person, double occupancy. According to the Asia Cruise Association, Asia has a penetration rate of less than 0.1% compared to 3.3% in the USA. The Singapore Tourism Board (STB) is a leading economic development agency in tourism, one of Singapore’s key service sectors. Known for partnership, innovation and excellence, STB champions tourism, making it a key economic driver for Singapore. We aim to differentiate and market Singapore as a must-visit destination offering a concentration of user-centric and enriching experiences through the “YourSingapore” brand. For more information, please visit www.stb.gov.sg or www.yoursingapore.com. One of the best-known names in cruising, Princess Cruises is a global cruise and tour company operating a fleet of 18 modern ships renowned for their innovative design and wide array of choices in dining, entertainment and amenities, all provided in an environment of exceptional customer service. A recognised leader in worldwide cruising, Princess Cruises carries 1.7 million guests each year to destinations around the globe ranging in length from three to 111 days. The company is part of Carnival Corporation & PLC (NYSE/LSE:CCL; NYSE:CUK).